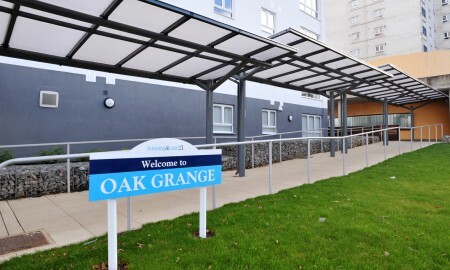 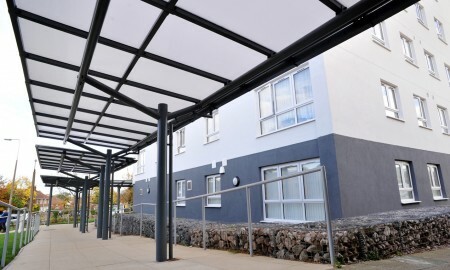 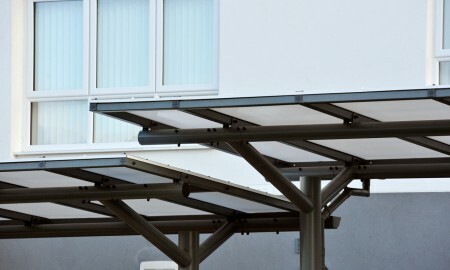 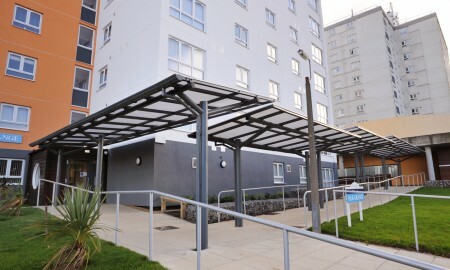 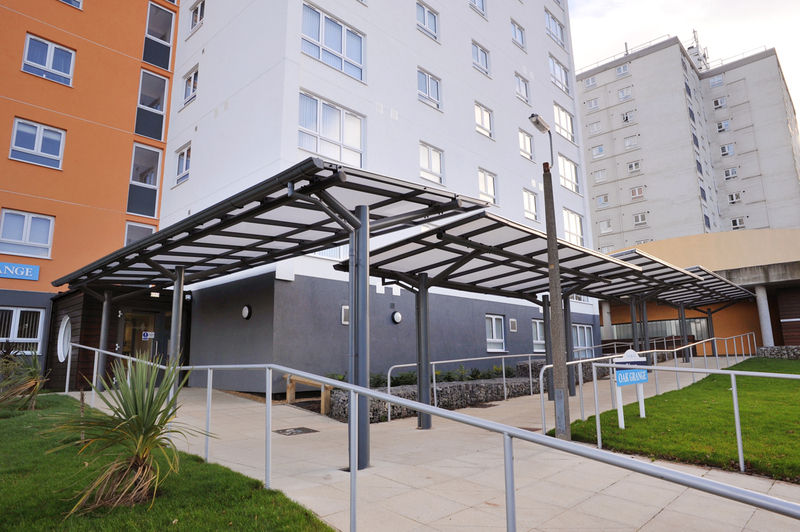 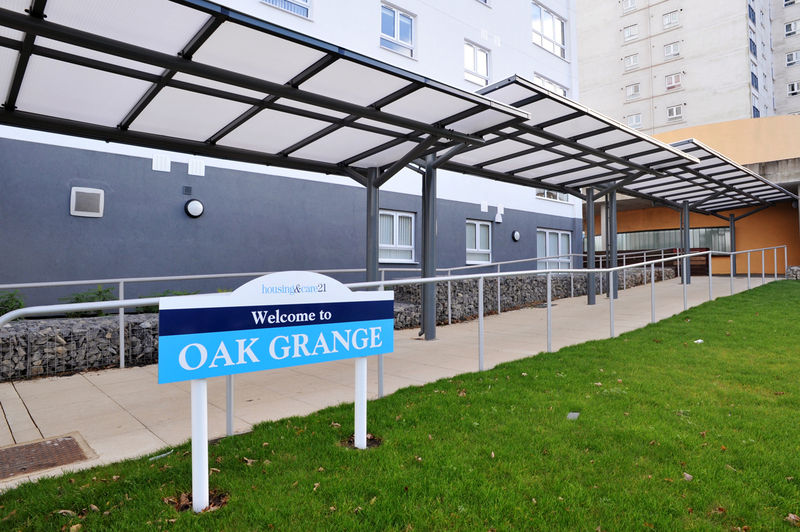 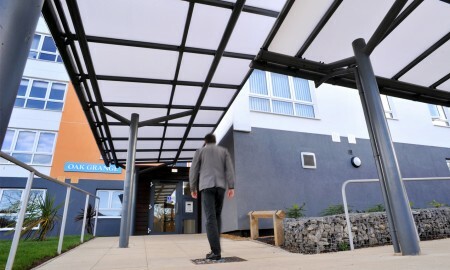 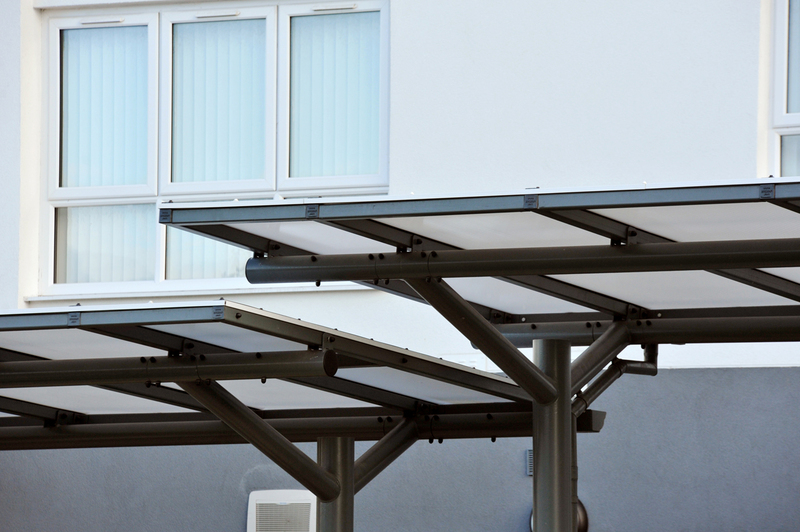 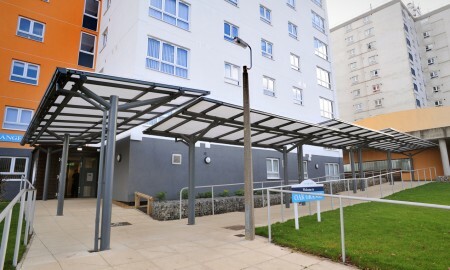 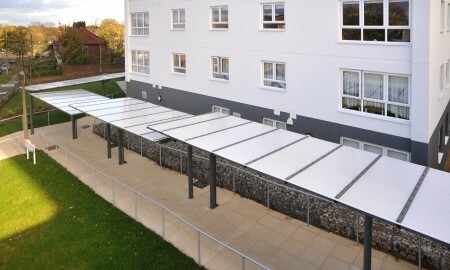 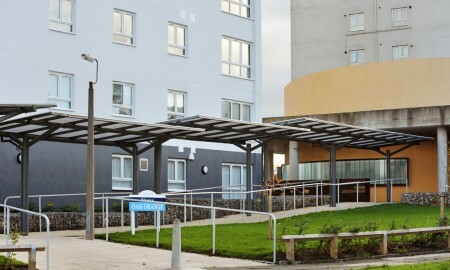 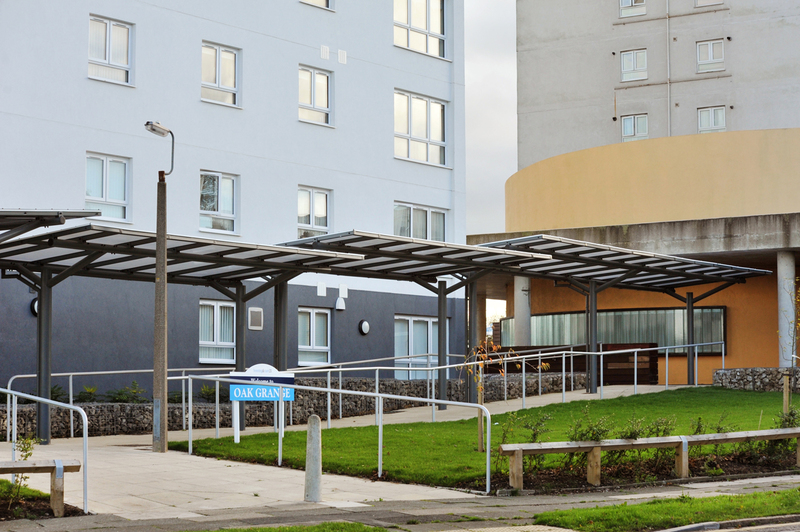 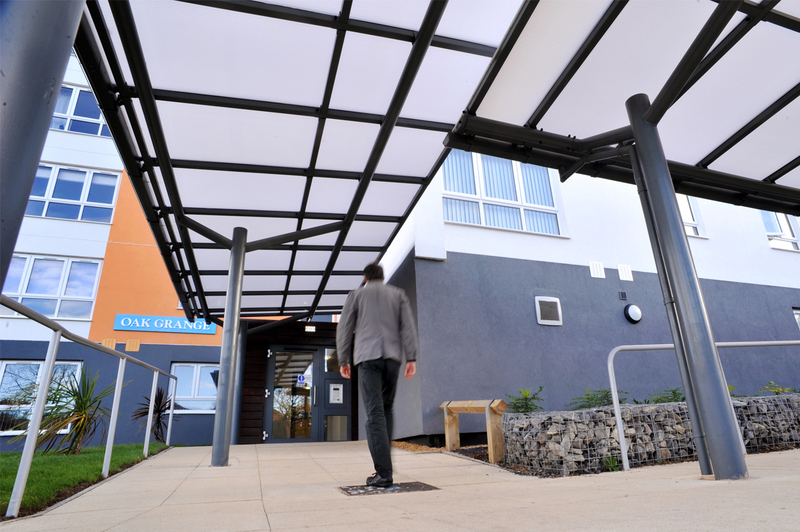 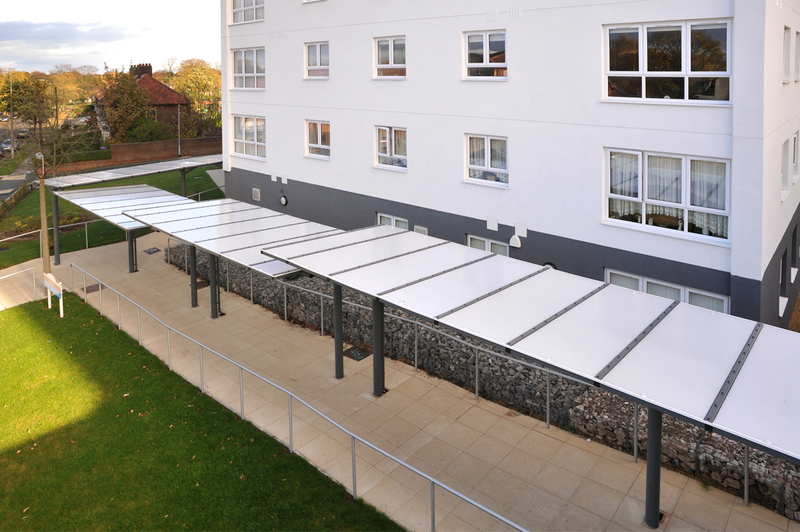 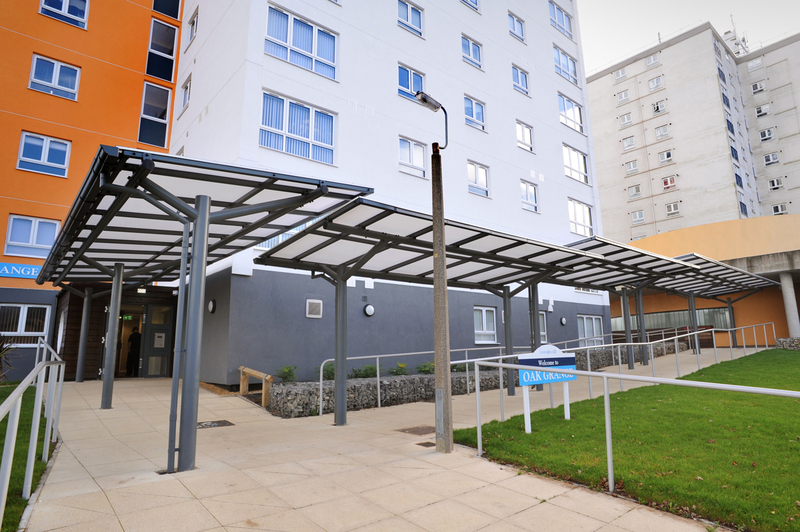 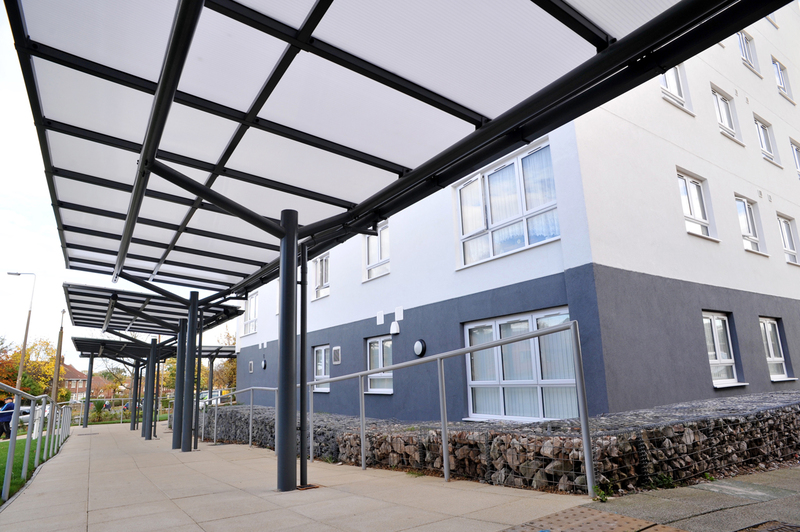 This large building containing flats for assisted living required a double entrance canopy/covered walkway to allow visitors and residents to traverse between the two buildings. 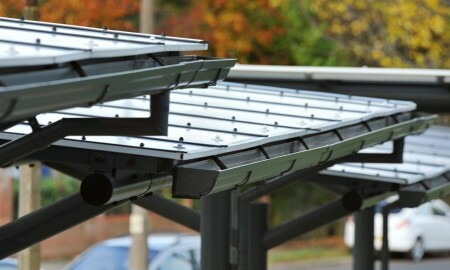 Based on the Aquinas canopy that was used at Stockport this version has a polycarbonate roofing system in place of the glazed one used on the original project. 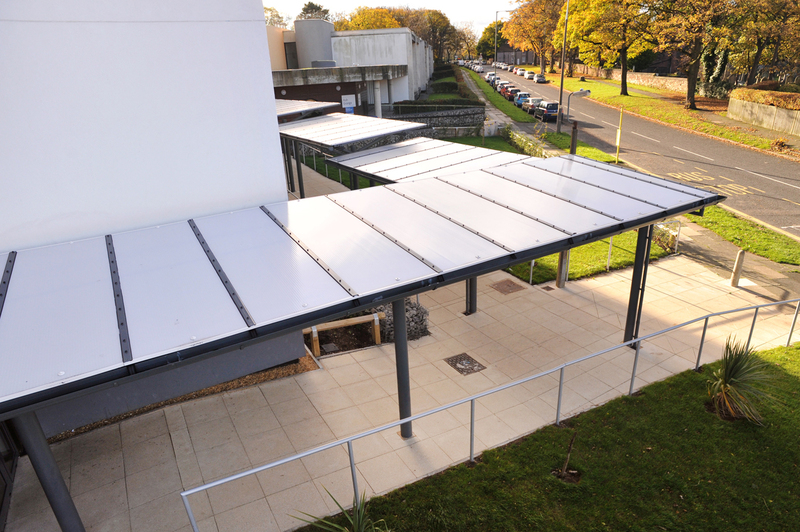 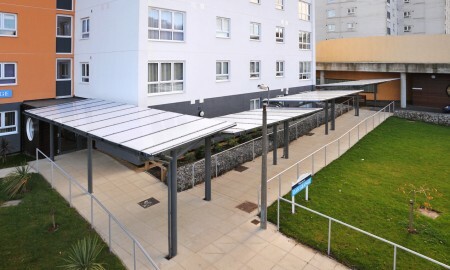 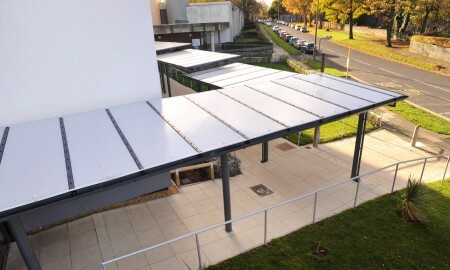 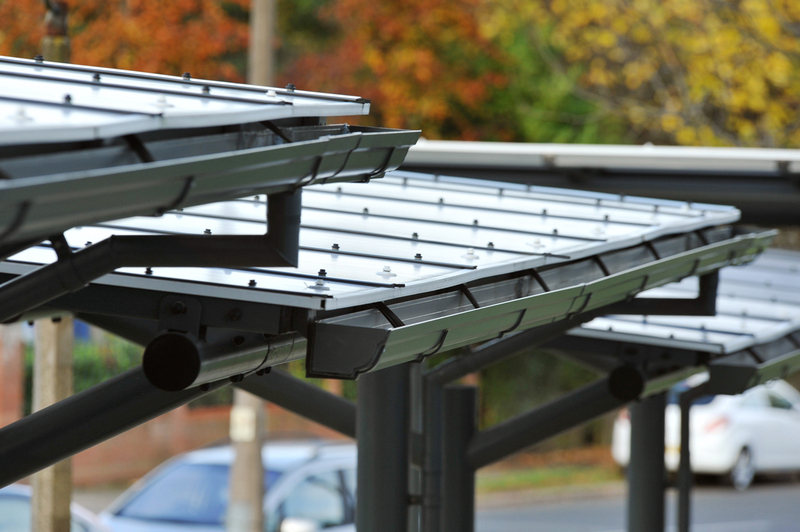 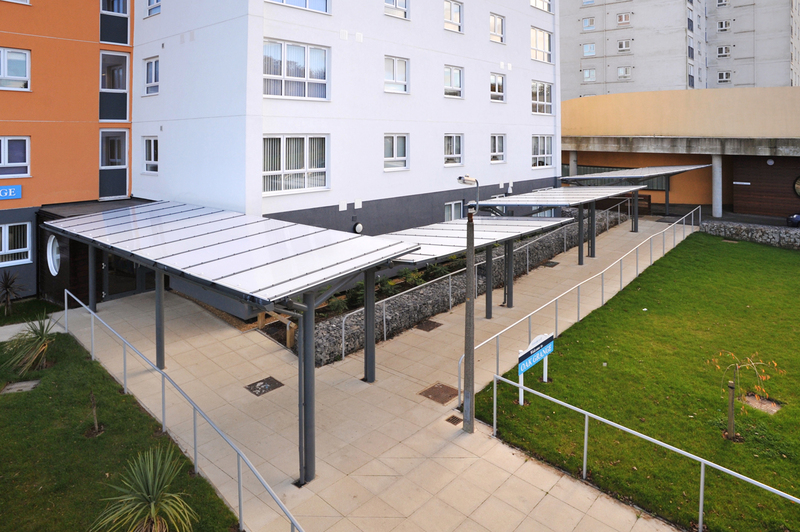 The column work remains the same but a Multiwall polycarbonate roofing system is used to reduce the costs compared to the original glazed version at Aquinas College, Stockport and this version has a slightly offset centre column to allow maximum space for pedestrians beneath whilst allowing adequate coverage..
Rainwater is shed to the sides of the mono pitch style roof into guttering that is then dispersed at ground level through downpipes attached to the end column.